Eight football players from seven different universities used the platform of the 2016 NFL Combine to help others. Powered by PLEDGE IT, these extraordinary athletes supported charitable causes in the rare disease community and wounded veterans, and raised more than $20,000. 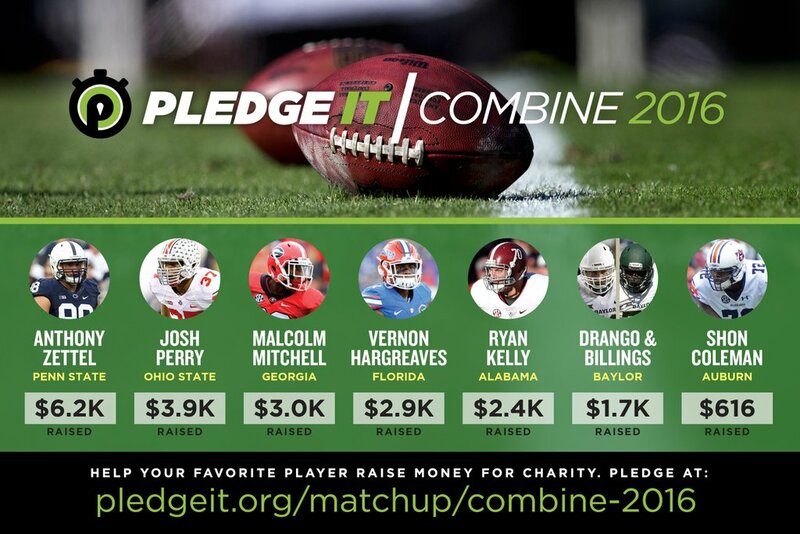 Using the power of sport for social good, Andrew Billings, Spencer Drango, Josh Perry, Malcolm Mitchell, Ryan Kelly, Shon Coleman, Vernon Hargreaves, and Anthony Zettel launched NFL Combine campaigns to help the following three charities, The Eagle Fund, Stand By the Wounded, and Uplifting Athletes, raise more than $20,000 in donations. Founded in 2014, PLEDGE IT is an online fundraising platform that empowers teams and athletes to raise money based on their athletic performance. 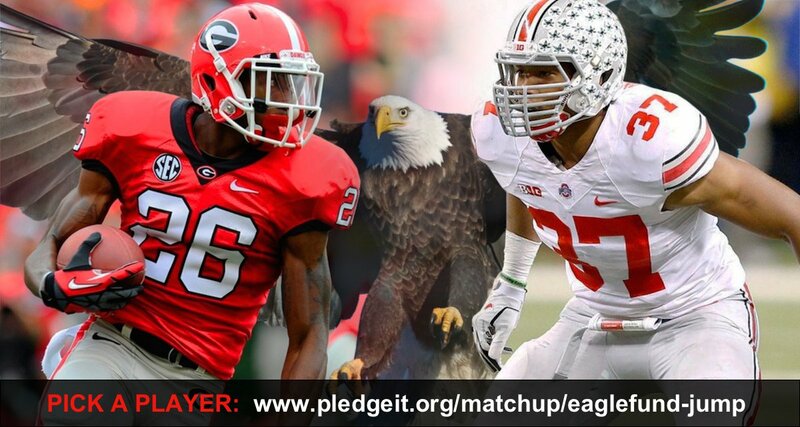 Fans can pledge any dollar amount for every touchdown, run or point scored to benefit their favorite cause. 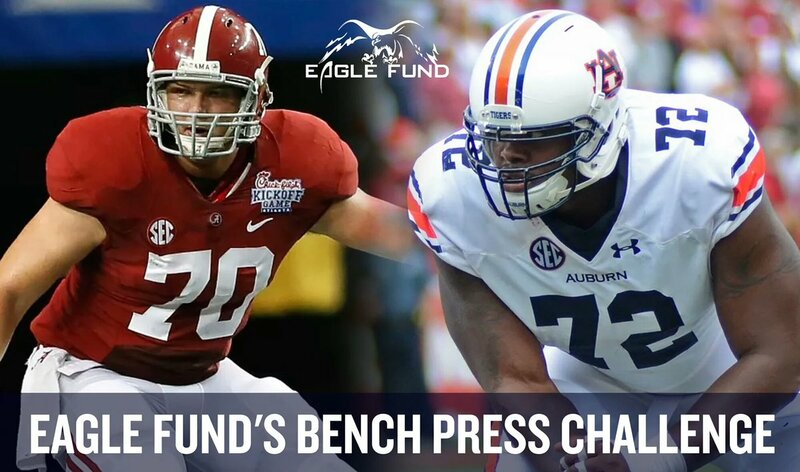 In partnership with the Eagle Fund, Andrews Research & Education Foundation and EXOS, former Auburn Tiger Shon Coleman and former Alabama Crimson Tide Ryan Kelly launched the Eagle Fund's Bench Press Challenge. These superstars competed to see who could raise the most money for active duty injured members of the Special Operations community at the 2016 NFL Combine. And they did it with style! Ryan Kelly raised $2,418 with the help of 29 fans while Shon Coleman raised $616 with the help of 13 fans. In addition, former Ohio State Buckeye Josh Perry and former Georgia Bulldog Malcolm Mitchell launched the Eagle Fund's Vertical Jump Challenge. Through their combined efforts they raised $6,947 for active duty injured members of the Special Operations community. 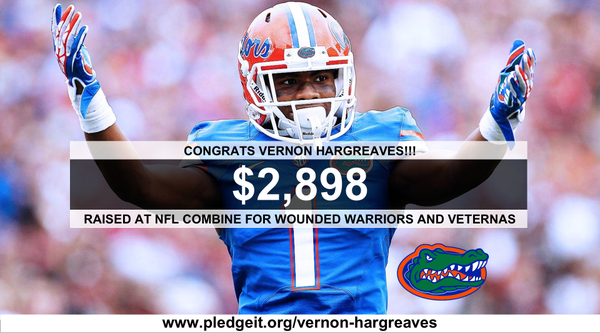 Former Florida DB Vernon Hargreaves used his spotlight at the upcoming NFL Combine to raise money for critically wounded members of the U.S. Military, veterans and first responders and raised $2,898 with the help of 45 fans. Hargreaves’ inspiration for supporting service men and women came during his NFL Combine training EXOS in Gulf Breeze, Florida. EXOS specializes in training world class athletes and also rehabilitates critically wounded military personnel. Former Penn State star Anthony Zettel chose to make the 2016 NFL Combine a platform to inspire the rare disease community with hope through the power of sport. The defensive tackle launched a Reps For Rare Diseases campaign for Uplifting Athletes through the Penn State Chapter in support of the rare disease community and raised $6,184 from 65 loyal fans. Fans pledged donations for every bench press repetition Zettel recorded at the NFL Combine. 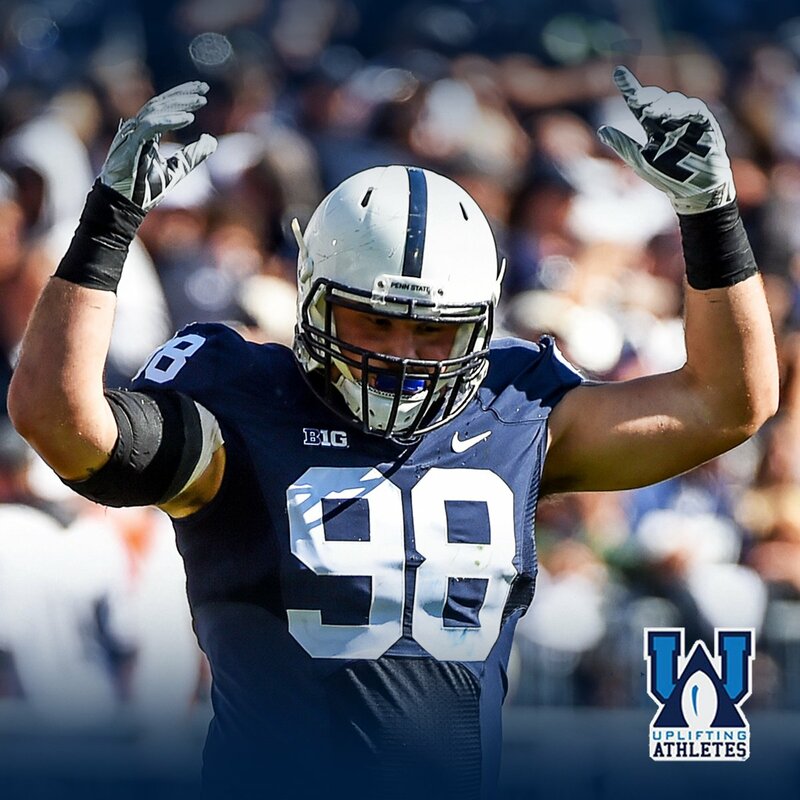 Zettel, an Uplifting Athletes Letterman, served as part of the leadership team for the Penn State Chapter and participated in Lift For Life each summer he was on campus. 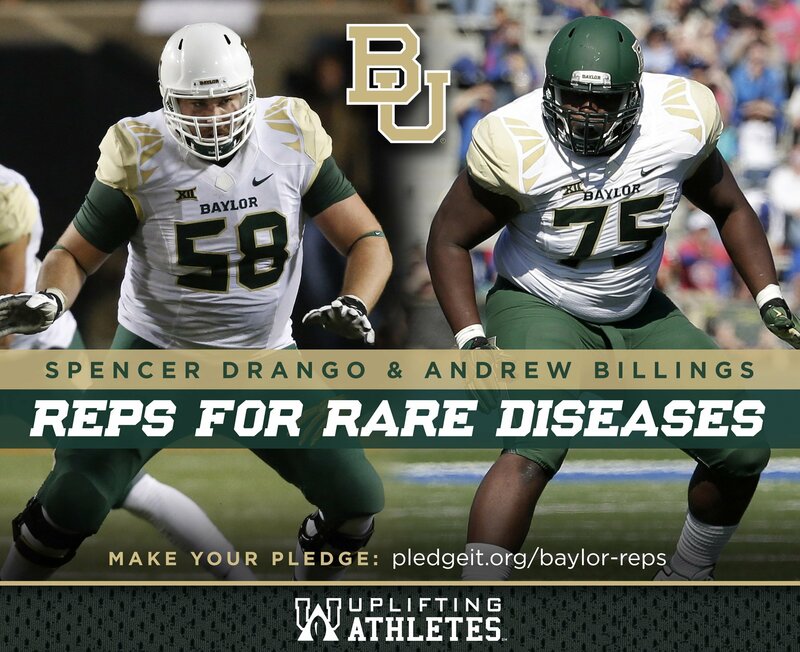 In addition, a pair of former Baylor Bears, OL Spencer Drango and DT Andrew Billings, chose to make the 2016 NFL Combine a platform to inspire the rare disease community and raised $1,654 from 21 loyal Baylor fans.